Iranian President warns United States not to "play with the lion's tail". 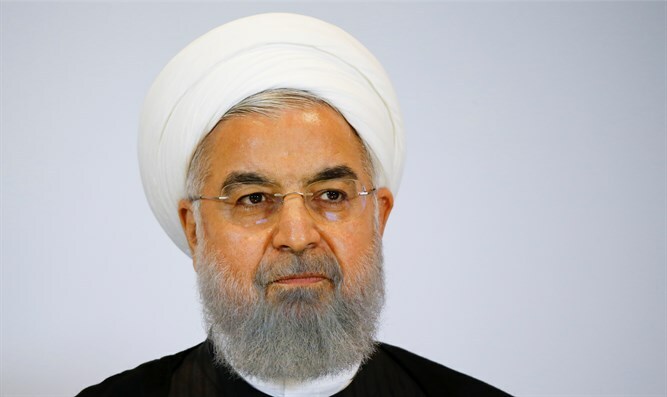 Iranian President Hassan Rouhani on Sunday warned the United States not to "play with the lion's tail", saying that conflict with Iran would be the "mother of all wars", AFP reported. "You declare war and then you speak of wanting to support the Iranian people,” said Rouhani in comments directed at President Donald Trump. "You cannot provoke the Iranian people against their own security and interests," he added in a televised speech at a gathering of Iranian diplomats in Tehran. Rouhani repeated his warning that Iran could shut down the strategic Strait of Hormuz, a vital shipping lane for international oil supplies. Iran's Revolutionary Guards Corps (IRGC) recently issued a similar warning as well. "We have always guaranteed the security of this strait. Do not play with the lion's tail, you will regret it forever," he warned, according to AFP. "Peace with Iran would be the mother of all peace and war with Iran would be the mother of all wars," added Rouhani. In May, Trump pulled out of the 2015 deal under which sanctions on Iran were lifted in return for curbs to its nuclear program. Washington has since told countries they must stop buying Iranian oil from November 4 or face financial measures. Washington has also launched concerted propaganda efforts in Iran, including social media campaigns, designed to exacerbate popular discontent. "Whenever Europe has sought an agreement with us, the White House has sown discord," Rouhani said Sunday, according to AFP. He added, however, "We must not think that the White House will remain forever at this level of opposition to international law, against the Muslim world."